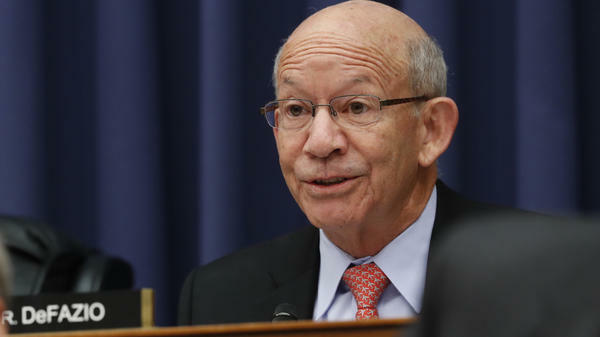 Rep. Peter DeFazio, D-Ore., who chairs the House Transportation Committee wants to work with the White House on a bipartisan infrastructure bill. At the same time, his panel is investigating a lease given to the Trump International Hotel in Washington, D.C.
"I have to do my duty over here and get questions answered," committee Chairman Peter DeFazio told NPR. "But I also need to pursue vigorously working with the White House to try and move an infrastructure package. And I'm willing and able to do both, and I think that the president will understand that if he really wants to do infrastructure." Trump famously declared at his latest State of the Union address that members of Congress could choose between working with him on passing bills or probe his business and administration — not both. "If there is going to be peace and legislation, there cannot be war and investigation," Trump said. "It just doesn't work that way." DeFazio thinks that he can balance drafting legislation and probing the president's business. But Republican Rep. Bob Gibbs told NPR he'd prefer if DeFazio let the House oversight committee take the lead on questions related to the president's finances. "It's going to take committee time, take resources from the committee and the staff, and we should be working on getting an infrastructure bill done," Gibbs said. "Because if we don't get something moving here fast, before the August recess, the chances of getting it done appropriately in the next year, with presidential politics and all that, the odds get slimmer." There has been interest on both sides of the aisle for a deal that would include investment in American roads, bridges and other transportation infrastructure – but negotiations are still in early stages. "Both parties should be able to unite for a great rebuilding of America's crumbling infrastructure," Trump said during his State of the Union address last month. "I know that the Congress is eager to pass an infrastructure bill — and I am eager to work with you." The president's latest budget proposal includes at least $1 trillion for programs to improve highways, bridges, ports and rural broadband. DeFazio told NPR there's an economic imperative to come together on a deal soon. "It needs to get done because we're losing hundreds of billions of dollars in lost productivity [due to inadequate infrastructure] ... there is a lot to be done out there, and we need to do it no matter who is in the White House and who is running Congress — it's been on the back burner too long." 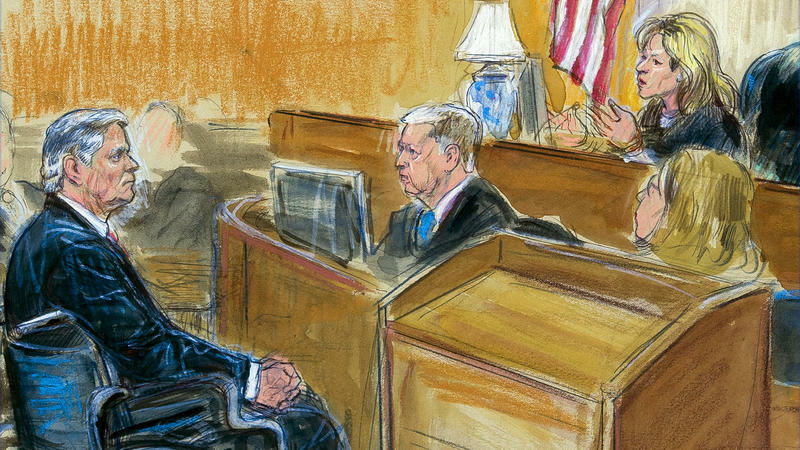 The House oversight and judiciary committees have attracted the most attention for their investigations touching on questions about Trump's businesses and his Washington, D.C., hotel. DeFazio's panel is also quietly working on the subject. But the recent efforts appear to just involve the majority on the committee. Missouri Rep. Sam Graves, the top Republican on the panel, said he had not heard much about what Democrats on the committee had been doing on investigating the Trump hotel. The hotel is located at the Old Post Office building and owned by the General Services Administration, an agency of the U.S. government. In 2013, Trump signed a lease with the GSA, which falls under the jurisdiction of DeFazio's committee. This lease explicitly barred an elected official of the U.S. government from being part of, or benefiting from, the lease. DeFazio and his colleagues are also concerned about foreign governments steering money to the hotel to improve their relationship with the president, which if true could violate the Emoluments Clause of the Constitution. "GSA entered into some nebulous agreements with the Trump Organization regarding the profits of the hotel, which are supposed to be shared with the American people under the lease," DeFazio maintained. "They also entered into nebulous agreements ... segregating the money that came from foreign entities." As the top ranking Democrat on the panel in the previous Congress, he was rebuffed repeatedly by the agency when asking for information about these agreements. But now that he heads the committee, DeFazio has the ability to pursue his oversight priorities with vigor. "I am pointing out that now I am chairman," DeFazio said, about his interactions with the agency during the new Congress. Democrats on the committee want to know, among other things, whether there was any political pressure exerted on the GSA by the Trump White House, presidential campaign or transition team. They also want to know how the Trump hotel calculates its profits, segregates incoming money from foreign governments, and what the Trump Organization owes the GSA on a monthly or annual basis. DeFazio's interest in investigating this matter stems back to President Trump's election. Even before Trump's inauguration, his staff had reached out to determine whether the terms of the contract prohibited Trump from continuing to benefit from the lease. In January, an internal GSA watchdog added fuel to the fire by finding that those in charge of the Trump International Hotel lease improperly ignored the Constitution when they continued the lease after he was elected. The General Services Administration declined to respond to DeFazio's inquiries over more than two years, arguing that it would only respond to letters from the majority on the committee, which was then controlled by Republicans. "I have never ever in 30 years been treated that way by any agency under any administration," DeFazio said in an interview. "They insulted Congress by refusing to answer my questions and allow me to do proper oversight and I am holding this agency to account." The committee's newly relaunched probe is making more progress in the past two months than in the preceding two years now that Democrats control the committee. "They have sent a volume of documents and say there will be more," DeFazio said. A GSA spokesperson told NPR that the agency is "working diligently" to respond to the committee's requests and has already provided more than 1,000 pages of documents to the panel. NPR intern Alena Sadiq contributed to this report. 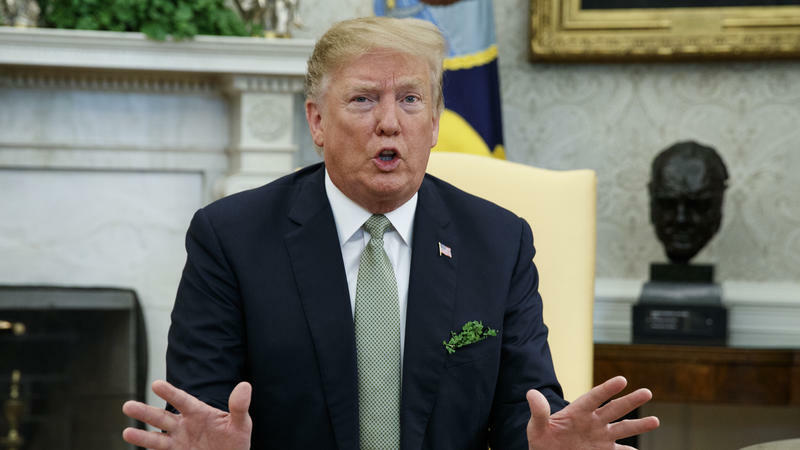 President Donald Trump left South Florida after reaping millions of dollars from one of his first major fundraising efforts this year for his 2020 re-election bid. Trump netted $7 million from GOP donors in two events at Mar-a-Lago, the Republican National Committee said Sunday.